Noordhoek vacant land for sale is the perfect offering for prospective buyers who want to build their own home in a semi-rural area and enjoy the peaceful lifestyle it offers. Noordhoek is truly rural in feel and land use. It started out as a farm and has developed into a semi rural/residential area. Residents have worked hard to protect it from crass commercial development. If you are looking for Noordhoek vacant land for sale contact SAHomeBuyers for our free and non obligatory property consultation by email here or telephone us on +27 (0) 83 265 8800 to find out more. 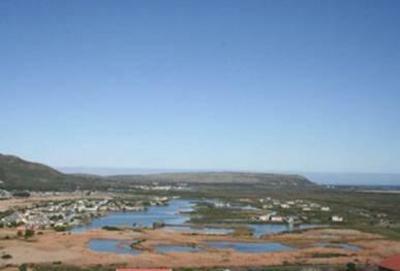 Noordhoek vacant land for sale attracts a variety of buyers. The location is gorgeous, with mountains, a fertile valley, a salt water natural lake and a beach of white sand that stretches for 8 kilometres along the Atlantic Ocean shore. Amongst the developed properties are plant nurseries, organic food farming, family residences. There is also an active equestrian community and a number of bed and breakfasts. So whatever your needs, you are likely to find Noordhoek vacant land for sale that will suit. R20 million will buy a 22,4 hectare property in a sheltered position, bordering on a nature reserve and with exceptional views of the mountains and the ocean. A 2,34 hectare north facing plot in the prestigious De Goede Hoop estate will set you back about R9,5 million. 1600 sq metres at the top end of the lower slope of the mountain will cost about R4,75 million. This plot will afford you uninterrupted views of the mountain and the ocean and make you feel as if you’re on top of the world. A 4004 sq m plot with views of Noordhoek Beach stretching into the distance costs about R3,2 million. And a 4044 sq m plot in the valley with its own stream and established trees might only cost about R995,000. Also, currently amongst Noordhoek vacant land for sale are 28 plots on Chapman’s Peak Security Estate, ranging in price from R3,1 to 9,5 million. A buyers consultant will tell all about, and even search on your behalf for Noordhoek vacant land for sale. Contact SAHomeBuyers for your free and non obligatory property consultation by email here or telephone us on +27 (0) 83 265 8800 to find out more.